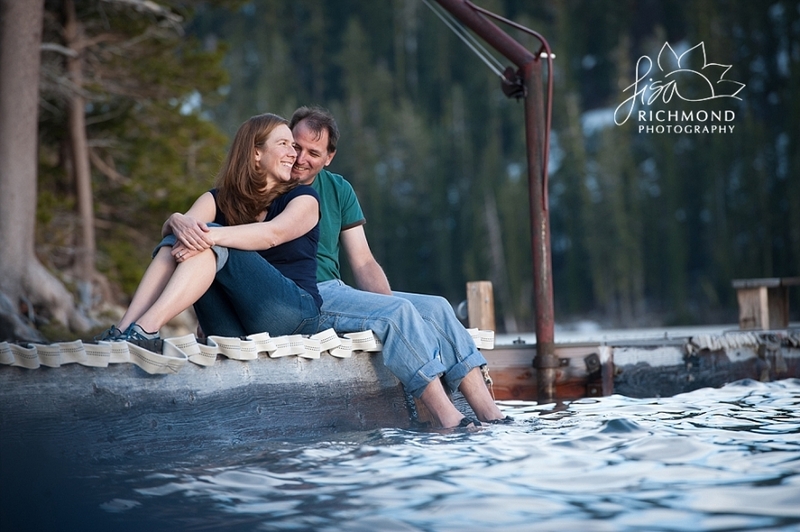 Jen and Dave are getting married in August, with a weekend long celebration at the American River Resort in Coloma. And, as you can see, they enjoy kayaking. Living in the Sierra there are so many beautiful slopes to ski, trails to hike, and lakes to explore. 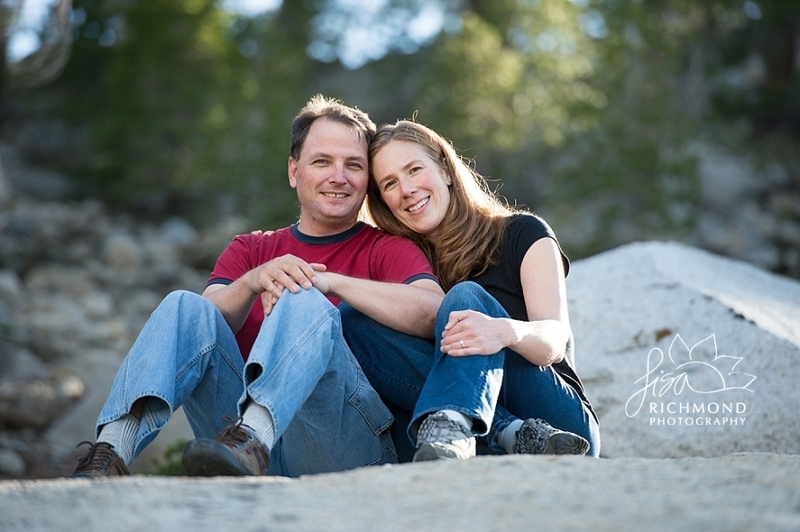 I just love it when I run into couples like Jen and Dave who enjoy outdoor adventure as much as I do and want to incorporate that into their session; it’s the perfect blending of my two passions plus it makes their session so much more unique and personal. The “Just Engaged” signs that they wore on their backs while out on the lake were also a fun detail, not least because Jen’s dad made them. These, however, were version two, after Jen subtly reminded him that “Just Married” probably wasn’t appropriate just yet. On this evening, I also got to enjoy some time with my husband, Jeff, who often paddles for me on my sessions on the lake and even carries gear on the mountain for those ski enthusiast couples. I love that he’s always up for an adventure too. Although he is not an artist by trade, he understands light and composition as an artist would, joining me on my unrelenting quest to find and capture it.